Today is International Women’s Day and a great reminder of the forces and impacts of women’s participation in the workforce. 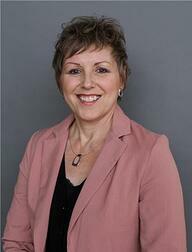 According to Statistics Canada, 48 per cent of Canada’s workforce is women. In our industry, the stats show three per cent of women are truck drivers and 11 per cent are transportation managerial staff. The numbers are trending up but no t as fast as we would like, though we are making progress at Bison. 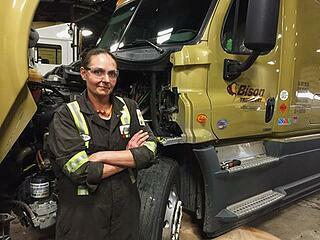 In 2017, 17 per cent of Bison’s employees were women – that is up from 13 per cent back in 2012. 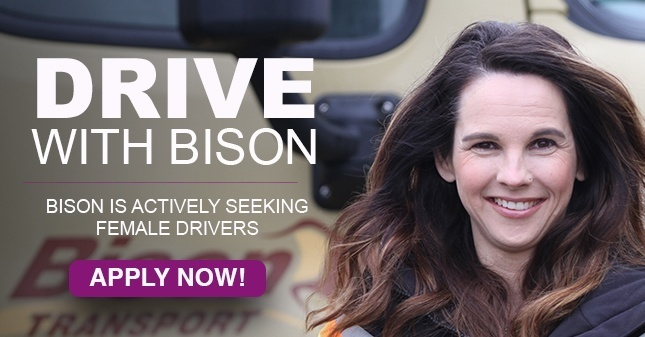 Of our workforce last year, only four per cent of the Bison family was female drivers. Of our 130 technicians only two were women. What is fantastic to see is that 30 per cent of our leadership team is women. At the beginning of the month I attended the fourth annual Trucking HR Canada’s Women With Drive Leadership Summit in Toronto. WWD is working to support our industry to achieve a higher representation of women in our workforce. This is just one opportunity to gather, exchange strategies and best practices to achieve our goal of increasing the employment of women in our industry. There are countless factors that come into play when we recruit new employees. Sometimes we have to break down barriers, correct untruths and debunk common myths. Sometimes we just need to educate people about what their future could hold. Once people, particularly women, understand that the opportunities are plentiful they often take the leap and join our team. Thankfully for us, we are seeing more and more females joining the Bison family. And the opportunities are vast. When looking for a career, people tend to think vertically. They want to move up in the company and seek out ways to get to the top. They want to go from the cubicle to the corner office as fast as possible. At Bison, it is common for employees to make lateral movements and grow their career by experiencing different aspects of the business before taking on greater responsibilities. Ours is an industry that is seeing no shortage of business. Consumer habits and trends might be changing but demand for services is at an all-time high thanks to the ease in which people can buy and have products shipped. Realistically we know that the trucking workforce will never be 50/50 men/women but if we see a consistent uptick in females behind the wheel, working under the hood, troubleshooting our technology and in that prime corner office, then we will be making great strides.